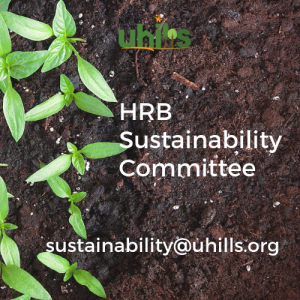 The HRB Sustainability Committee is comprised of at least one HRB member and University Hills residents. At this time, there is no maximum number of participants. The Committee reports monthly or as needed to the HRB and works with Andrew Herndon (VP of Community Management) from ICHA. We meet quarterly in the ICHA Boardroom. The next meeting is scheduled for April 1, 2019 at 5:30 pm. for weekly weeding every Thursday morning from 8 – 10 am. For weekly meeting location, email ucinature@uci.edu. Remove weeds from sensitive habitat areas throughout the preserve. Work gloves & tools provided, but please bring a water bottle and sun protection. 1. Identify policies and best practices for an ecologically sustainable community. 2. Make recommendations to the HRB and subsequently to ICHA about the implementation of the best practices on the community level. 3. Organize community workshops & talks about various topics in order to educate residents to influence sustainable practices on the individual/household level.